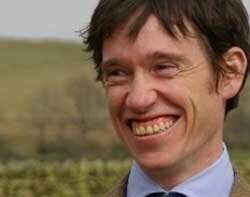 Tory MP Rory Stewart, who proposed the motion, said that 98% mobile broadband coverage is vital to Britain's economy. Stewart is MP for for Penrith and The Border and an outspoken campaigner to increase the coverage requirement in Ofcom's 800MHz and 2.6GHz spectrum auction from 95% to 98%. Now more than 100 MPs have given their backing to the motion - the most to sign a motion in living memory, says Stewart. "The fundamental thing we were trying to get across in debate is that this is the smartest, cheapest investment we can possibly make for economic growth. It's a no brainer," he told Computer Weekly in an interview after the debate in the House of Commons. "It's insane to say millions of people in Britain and not going to be able to use this technology that is so important in the next five years." Ofcom calculates that in order to increase coverage to 98%, 1,200 more phone masts would need to be built at £150,000 each - which it estimates could knock £200m off the auction price. But Stewart says this calculation could be far too high as some companies will not need to build masts from scratch and could be encouraged to bid high to secure bids against competitors. But he acknowledges that getting Ofcom and the government to change its mind may not be easy. "We've still got a lot of work to do, the Treasury is under a huge financial crunch, and we're asking it to take the risk of losing up to £200m at auction," he said. However, the timing is urgent, he says. "This is the last chance because once the [spectrum] licence is sold it will be very difficult to come back to companies in three years' time and say, 'Would you mind including another two million people' because there will be no obligations to do so," said Stewart. "It would be much more inconvenient and expensive to make the government do it at this point as the Treasury would have to be taxing people more or robbing from other departments." Without getting the key parties on board the extension stands little chance of happening, he says. "We've got to get Ofcom, the Treasury and the Department for Business to change their minds and get key officials involved - then the problems will evaporate," he said. "The next big deadline is when the auction terms will be announced at the end of the year. My main agenda is to make sure when this happens, that 98% coverage is included. I don't mind how do it, I'm not trying to tell Ofcom how to do job - just that the risk of losing up to £200m is worth taking. This is a basic issue of moral and social justice," he said. The Ofcom consultation on the auction terms closes in 10 days. "I will be working endlessly with every single company so we can say to Ofcom and the government that the [telecom] companies are willing and see we can identify any glitches in the system. In the meantime I would really encourage the public to write into the Ofcom consultation," said Stewart.